Lavie Tidhar, ‘The Violent Century’ (2013) – What are you reading for…? I first became aware of Lavie Tidhar a couple of years ago, when I read his controversial novel Osama. It’s not difficult to see why – Osama describes the search for pulp writer Mike Longshott, author of a series of books in which the main protagonist is a freedom fighter named Osama bin Laden. Turning bin Laden into a fictional character has an extraordinary effect in Osama – we are chilled by the fact that, in Tidhar’s alternate world, bin Laden’s activities are seen as entertainment; but we also then look at his crimes anew, reminded just how horrific and indiscriminate they were. The Violent Century has a broader sweep than Osama, but shares with the earlier book Tidhar’s desire to mix fantasy and reality. The book is largely set during the Second World War, but also describes its aftermath in Europe and across the world. This includes – in a nod to Osama – bin Laden’s US-funded activities in Afghanistan in the 1980s, and the 2001 attack on the World Trade Centre. Tidhar’s twist in The Violent Century is to imagine this familiar world populated by ‘the changed’, individuals who have been given extraordinary, superhero-like abilities after being exposed to the ‘Vomacht Wave’, created from the detonation of a ‘quantum bomb’. The Violent Century is centred on a number of these individuals, employed by the British Secret Service’s Bureau for Superannuated Affairs. One of these, Henry Fogg, has the ability to control fog, mist and smoke, using it to conceal himself and others. His colleague Oblivion is able to remove objects (and people) from existence. Both men see action in Europe during World War Two and the subsequent Cold War. During this period, they also encounter ‘the changed’ of other nations -including the Nazi ‘Ubermensch’, Soviet heroes such as Red Sickle and Rusalka; and brash Americans including Whirlwind, Tigerman and the Green Gunman. Tidhar packs a great deal into a relatively short novel; The Violent Century covers close to 90 years of history, in less than 340 pages. It is a story that spans the globe, taking in London, Paris, Berlin, Auschwitz, Jerusalem, Bangkok and New York. But despite its breadth, the book never feels dense, or hard-going – Tidhar’s style is easy to read, and strangely intimate. His narrator often speaks in the plural, using phrases such as ‘we can’t tell‘, ‘we get the sense that‘, ‘we don’t know‘, which have the effect of drawing the reader further into this secret and mysterious world. The book never feels over-written, and keeps the reader engaged in pulling together the different strands of the story, towards a satisfying and surprising conclusion. Whilst thoroughly exciting and engaging as a thriller, Tidhar also uses the book to explore deeper concepts such as heroism, loyalty and power. Despite their abilities, the characters who are ‘the changed’ remain very human; and many struggle with their new powers, both in terms of what they can do with them, but also how they change their relationship with those around them. The horror of war – and the moral compromises it brings – are starkly drawn, but Tidhar does not moralise. At its heart, The Violent Century is a novel that revolves around one of the oldest of human preoccupations – that of love, and what actions it might drive an individual to take. The Violent Century is also a somewhat sly book, and features a number of stellar cameos familiar to anyone even broadly acquainted with superhero comics. 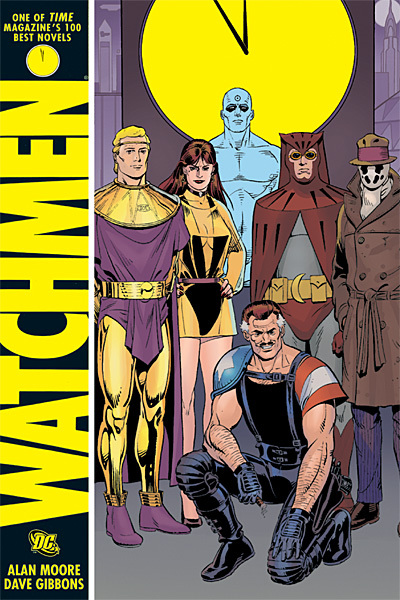 During a trial that sits at the centre of the novel, one of the witnesses is Stanley Lieber – more familiar to Marvel fans as Stan Lee, creator of Spider-Man, the Fantastic Four, the Incredible Hulk, and others, although none of these exist in Tidhar’s universe. There’s a fascinating conversation between Lee and the prosecuting counsel on the nature of heroism, and just who is responsible for the creation of the Vomacht Wave, and ‘the changed’ that resulted from it. In the end, Lee has only one, inevitable answer: ‘with great power comes great responsibility‘. I laughed with delight at this line, and also felt my own ‘spider-sense’ tingling at this point, and the hairs rising on the back of my neck. In another passage, Tidhar writes about the attack on the World Trade Centre in 2001. He takes that tired, over-used phrase used about Superman – ‘Is it a bird? Is it a plane?’ – and flips it on its head, turning it into an audacious, heart-breaking commentary on the death of heroes. 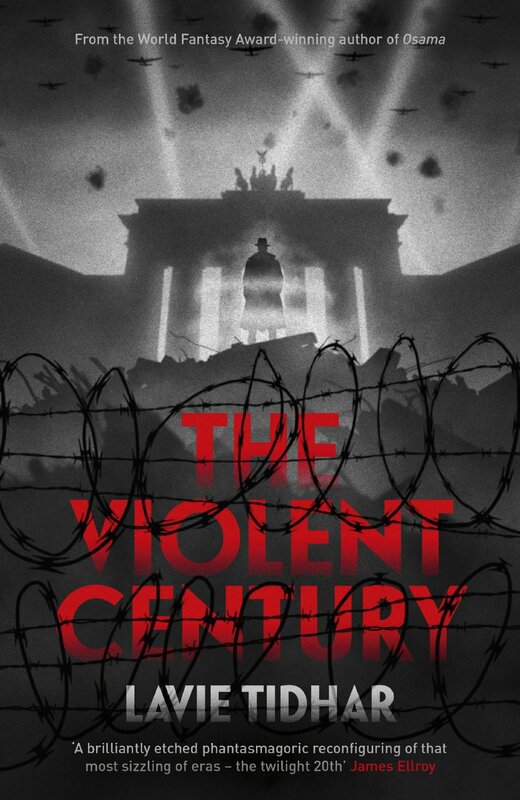 If you enjoyed Alan Moore’s Watchmen – a book I’ve read and re-read obsessively since my teens – then you’re going to love The Violent Century, which for me is very, very high praise indeed. Pingback: Lavie Tidhar, ‘A Man Lies Dreaming’ (2014) | What are you reading for...? Pingback: Ten Best Books of 2014 | What are you reading for...?